Hope you had a win in week 4. I saw a lot of good football yesterday and that always makes me happy. Beating the Eagles on a winning drive is always good for morale on a Monday morning! Here are my IDP waiver wire picks for week 5. Here are the 3 guys from last week. 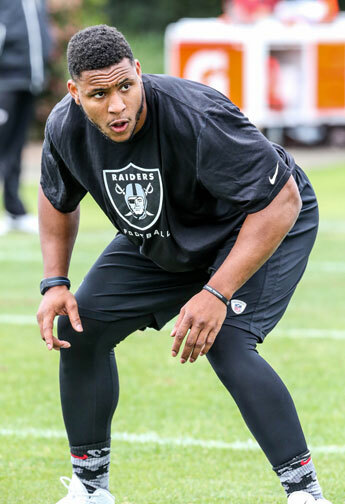 Malcolm Smith (OAK): He had 10 tackles and FF, good as low end LB1 now. Hau'oli Kikaha (NOS): This guy is starting to impress me, he has 3 sacks through 4 weeks to go along with 2 FF and 26 tackles! Jordan Hicks (PHI): I wrote about this kid in week 3. The rookie is making an impact early on. He didn't have the best of games from an IDP standpoint yesterday but was very effective in the actual defense, he is a must add in dynasty leagues (if he is still available) and a solid LB2 in other leagues. Vincent Rey (CIN): Vincent Rey had a monster game yesterday vs. Charles, Smith and the Chiefs with 15 tackles! He has also been fairly decent all year round. Anthony Hitchens (DAL): Hitchens had 11 tackles and 0.5 sack yesterday. I like his potential if Lee is to miss any time. For the Linemen I wasn't as good last week. Only hitting on 1/4 guys. However I still LOVE Jacquies Smith despite his pedestrian efforts. Stephon Tuitt (PIT):He was recommended last week before his big outing vs the Ravens. So you got, I am recommending him again this week. He had 10 tackles and a sack last week. A solid DL2 with DL1 potential. At DB, guess who came back to haunt me! Adam Jones, and I know he was hurting and he left the game. but the 1 week I decided to add him to the Waiver Wire he haunts me! but otherwise I went 2/3 last week. With Corey Graham (a must add right now) and Will Allen for Pittsburgh a solid DB2. T.J. McDonald (STL) The injury to Ogletree will actually mean more tackles for McDonald. Bradley Robey (DEN): The rookie had 5 tackles and a FF and has 3 big plays in the last 3 games. Keep an eye out here. Best of luck to you guys in Week 5. Remember your bye week fillers and hit me up for more 1-1 advice in the forum.